For those who may not be familiar with the used 2006 Honda CRF250x Dirt Bike for sale; it is the ultimate enduro machine! The motorcycle has smooth, torquey four-stroke power provided by its Unicam four-valve engine, MX-bred suspension and very easy to use electric start. The used Honda dirt bike for sale will easily impress any and everyone who rides it. This model was presented with newly remapped ignition timing and revised engine porting which improves performance. If you are interested in buying it you may reach me for more details by leaving your questions and contact information in the space below provided by GoGoCycles Used Motorcycles for Sale and I will respond with answers to your questions or after consideration of your offer as soon as possible. GoGoCycles would also encourage bikers to submit a review of the 2006 Honda CRF250x for sale to help potential buyers make informed decisions and to benefit the biker community as a whole. 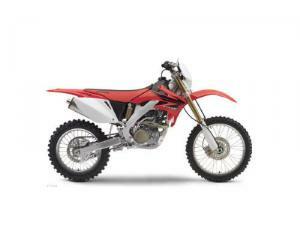 The Honda dirtbike is located in Wilmington North Carolina and my asking price is $4,349. $3000-$3600 for the 2006-2007 models.